Not quite F.C. Copleston vs. B. Russell, but a similar debate with similar results. 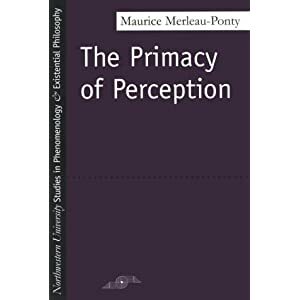 From a previously unpublished text at the introduction to the phenomenologist Maurice Merleau-Ponty’s “Primacy of Perception”, a series of passages provides a wonderful insight into perception and the body’s role in perceptual and spatial orientation, which has significant meaning for architectural theory.